The NSGIC Annual Conference provides critical and timely networking opportunities with state and federal officials, industry leaders and other geospatial organizations. You’ll encounter new information and tools to help you do your job more effectively. NSGIC’s 2018 Annual Conference will be held Sunday, October 1 to Thursday, October 5, 2018, at the Duluth Convention Center. The scenic city of Duluth MN rests on the shores of the largest freshwater lake in the world, Lake Superior. Duluth has always been a shipping town: first for furs, later for iron ore, timber, and grain. Ocean-going vessels come up the St. Lawrence Seaway into the Great Lakes to Duluth Harbor. Built largely on a 700-foot hill overlooking Lake Superior, Duluth also has a thriving tourism industry with antique shops, excellent restaurants, cozy inns, and scenic views of the lake. The Canal Park area is the heart of Duluth, with many art galleries, shops, restaurants, and cafes. From here you can watch the famous Aerial Lift Bridge in action, or check out the sculptures along the Lake Walk footpath. Canal Park links the convention center and hotel area to the Bayfront Park, where Duluth hosts summer festivals and winter ice skating. Near the Aerial Lift Bridge is the Lake Superior Maritime Visitor Center. This free museum, open daily, is operated by the US Army Corps of Engineers and overlooks the entrance to the Duluth-Superior harbor. The exhibits focus on the history and operations of commercial shipping in the upper Great Lakes as well as the history of the lift bridge. Closer to downtown is the Lake Superior Railroad Museum. Built in 1892, as many as 50 passenger trains a day would travel in and out of the depot. Once converted into a Museum, the collection includes many different train cars and different iterations of the locomotive engine. Fueled by the fresh, clean waters of Lake Superior, Duluth is home to 9 breweries, mostly all located within walking distance of Canal Park. Check out this article to get the full rundown of the best breweries to visit while in town! Online registration is now closed. If you would like to attend, please register onsite at the registration desk, Monday- Friday, Oct 1-5th. For onsite registration questions, please contact Bridget Nolan at [email protected] or 504-435-0173. NOTE: You must have a NSGIC account in order to register. Learn more about establishing a limited access account, membership or sponsorship. All corporate attendees must be sponsors in order to attend NSGIC meetings. For more information about our current sponsorship opportunities, please contact Bronwyn Walls at [email protected] or 985-377-9590. Sponsors who would like to register additional colleagues beyond the number of registrations included in their sponsorship should contact Bronwyn Walls at [email protected] or 985-377-9590. The entirety of the conference will take place at the Duluth Entertainment Convention Center, located within walking distance of the hotels. We will occupy two areas- The Skywalk Level and the Third Level. More information and agenda items will be sent out closer to the conference date. NSGIC has secured a group block room for our attendees at three different locations within the Canal Park area. There is no link for the group rate, you must call the number listed and request the NSGIC rate. NSGIC group room rates are available until Sunday, September 2, 2018. After this date, current market room rates will apply based on rooms availability. Thank you for booking your hotel room through the NSGIC block. This allows NSGIC to keep registration fees as low as possible and negotiate lower room rates to accommodate meeting participants. 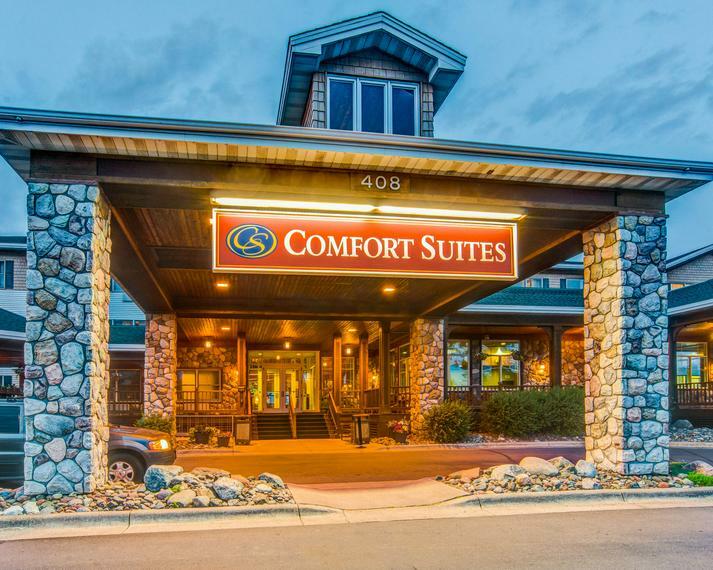 Located on the beautiful shores of Lake Superior in the heart of Canal Park, the Comfort Suites- Canal Park caters to both business travelers and those on vacation. Just moments from the vibrant downtown area, Canal Park offers many fun options to enjoy during your stay. Complimentary hot breakfast is included. 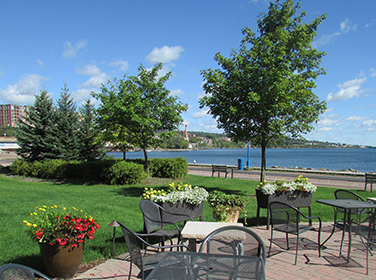 This Lakeshore Duluth Hotel features guest rooms overlooking beautiful Lake Superior on one side and is the gateway to the famous Canal Park on the other. 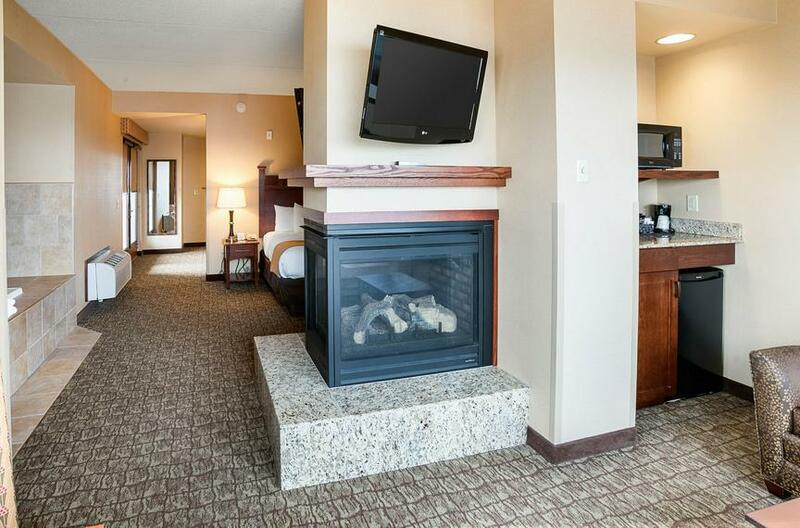 Canal Park Lodge also provides easy access to the downtown area and the Lake Walk, with miles of scenic walking, running, or biking giving you a truly picturesque view of the Duluth area. Complimentary hot breakfast is included. 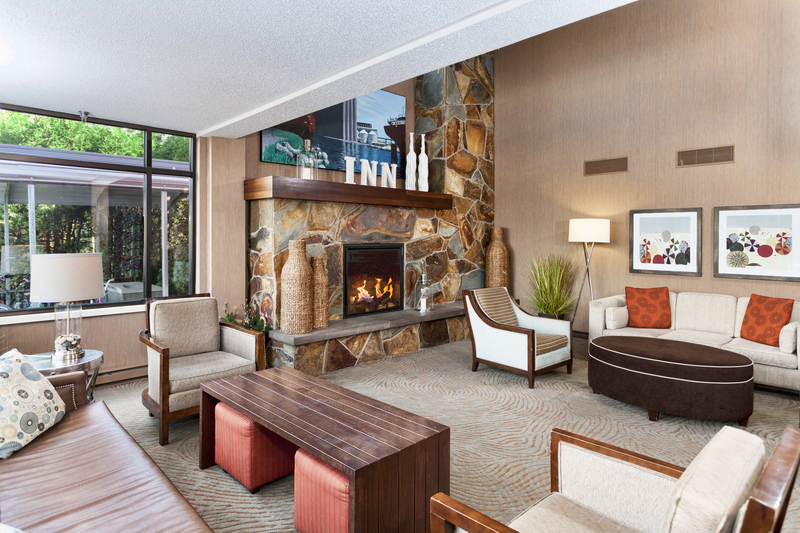 The Inn on Lake Superior Hotel is located in the heart of Canal Park. 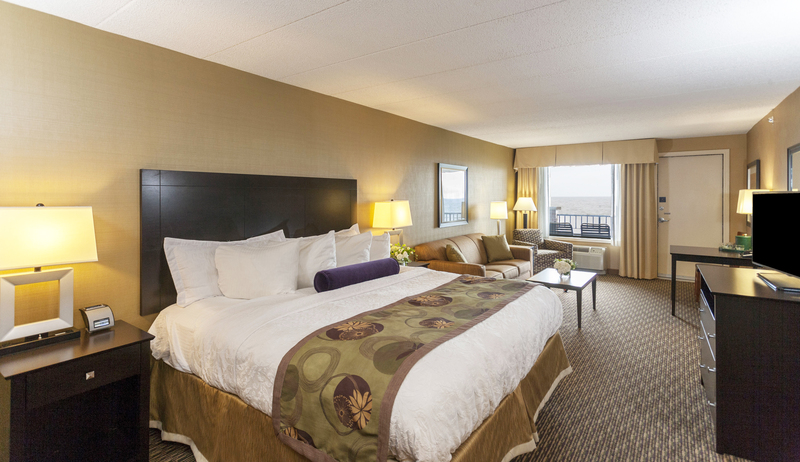 Take advantage of the exceptional guest rooms and unbeatable location. Inn on Lake Superior places you near delicious dining, world-class entertainment and direct access to the shores of Lake Superior. Complimentary hot breakfast is included. Enjoy the hospitality suite located in the private bar area of Hoops Brewing from 9 pm - 12 midnight each night of the conference. Light refreshments provided. The offsite social will be held at the Great Lakes Aquarium on Wednesday, October 3 from 7 -10 pm. The event will feature a variety of local beers as well as hors d'oeuvres. This is a great opportunity to relax and catch up after several days of conferencing. Colleagues attending the Minnesota GIS/LIS should contact their own event organizer for details on how to attend. For NSGIC state representatives faced with funding challenges, NSGIC offers limited conference grants to fully or partially cover reasonable travel expenses, hotel accommodations, and/or meeting registration fees. For more information, please refer to the conference grant policy and travel policy. Upon receipt of the submitted registration form and payment of your full registration fee, you will receive confirmation of your registration via email. The confirmation email is your receipt for the meeting. Please present your registration confirmation number to the meeting event desk onsite to receive your name badge and meeting materials. By September 14, 2018 - refund of registration fees paid, less a $50 administrative fee. Please note that attendees who do not pre-register for the meeting will be required to register and pay the registration fee in full prior to admittance into the meeting. Business casual attire is appropriate for all events. Duluth is about a 2.5-hour drive north of Minneapolis–Saint Paul on Interstate 35. A driver approaching Duluth on I-35 from the Twin Cities will be rewarded by a spectacular view of Duluth laid bare in the valley, just after entering the Duluth city limits, with a stunning view of Lake Superior in the horizon. The view is a treat, especially during peak fall colors. 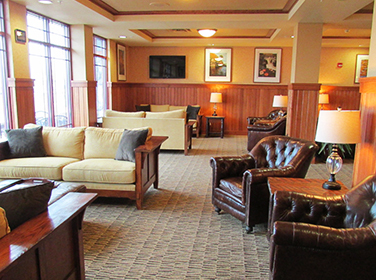 Duluth International Airport offers daily non-stop service to Minneapolis/Saint Paul, Detroit, and Chicago. Carpool - add or join a carpool with other attendees! Weather averages in early October are in the high 50’s daytime and in the low 40’s nighttime. For all registration and membership inquiries, please contact Bridget Nolan, Membership and Meetings Coordinator at [email protected].